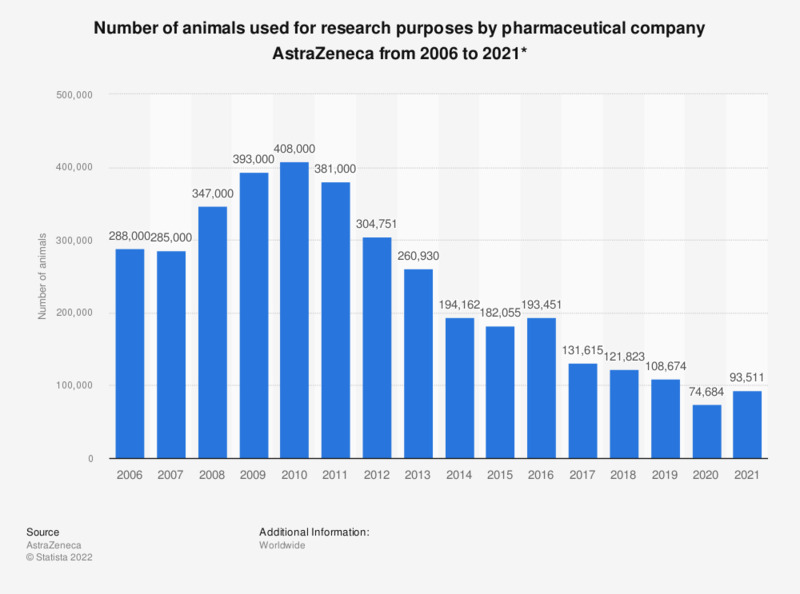 This statistic shows the number of animals that were used by pharmaceutical company AstraZeneca for research purposes from 2006 to 2018. In 2010, around 408,000 animals were used by AstraZeneca for research purposes. * Excluding animals used by external CROs on AstraZeneca's behalf.